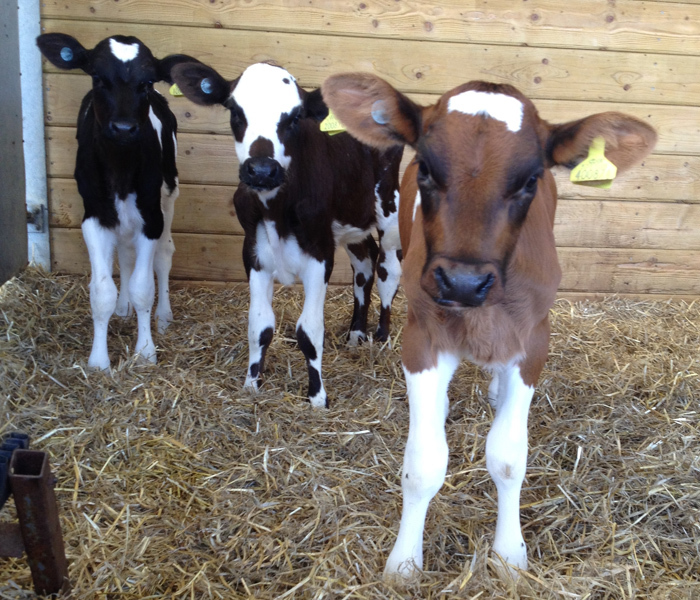 Calves at a Randalstown beef fattening unit are achieving significantly higher liveweight gains and reaching their lifetime performance targets since a milk replacer designed for computerised fed calves was introduced into the system. Joe O’Boyle runs a large-scale system at 34 Cranfield Road with his son and daughter, buying in strong and well-fleshed black and white male and Continental calves. With at least 500 cattle at the farm, calves are fed milk replacer via two computerised feeders. Although Joe has had the feeders for 10 years, he says he has only been getting the best from them since using Compumate®. He had always struggled to keep flesh on the calves, especially in the first weeks after they arrived on the farm; they often lost weight and suffered a brown nutritional upset. Joe says Compumate® enables calves to keep their thrive, bloom and flesh. “This gives us more options for the stock and has significantly reduced rearing costs,’’ he says. Before feeding Compumate®, Joe had to extend the calf feeding plan to make up for poor performance in those first few weeks. This limited his ability to sell stock at a younger age. Compumate® is digested in the same way as cows’ milk, eliminating nutritional stress. Joe had previously used a replacer that was totally different from cows’ milk and this was at the heart of problems with health and performance. 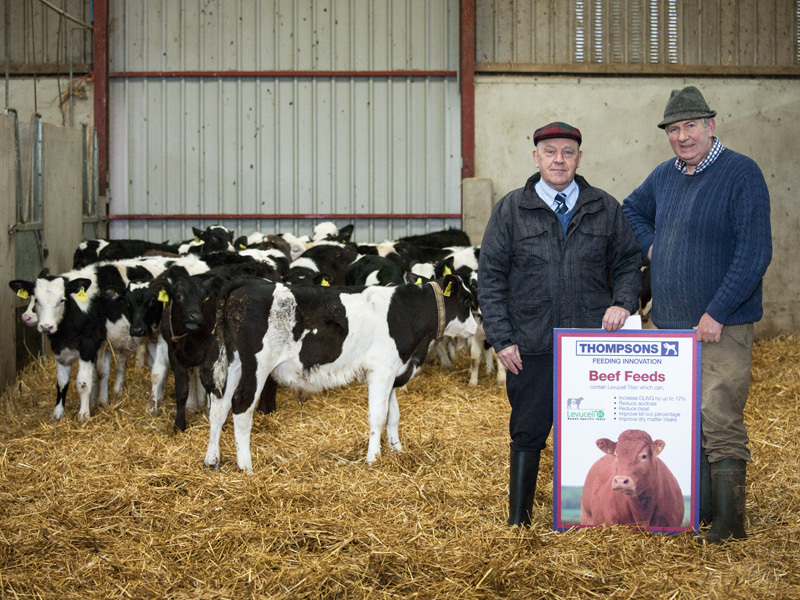 With advice from Joe Murphy from Bonanza Calf Nutrition, manufacturer of Compumate®, and Basil Bailey, of John Thompson and Son, Joe altered the computer feed plan and youngstock rations to remove nutritional stress. This resulted in Joe improving lifetime performance in his cattle. He fattens bulls at 16 months and achieves average carcase weights of 315 kgs in his black and whites and 340 kgs in his Continentals. “Before feeding Compumate®, we struggled to get all cattle to finish on time but we no longer have this difficulty,’’ says Joe.